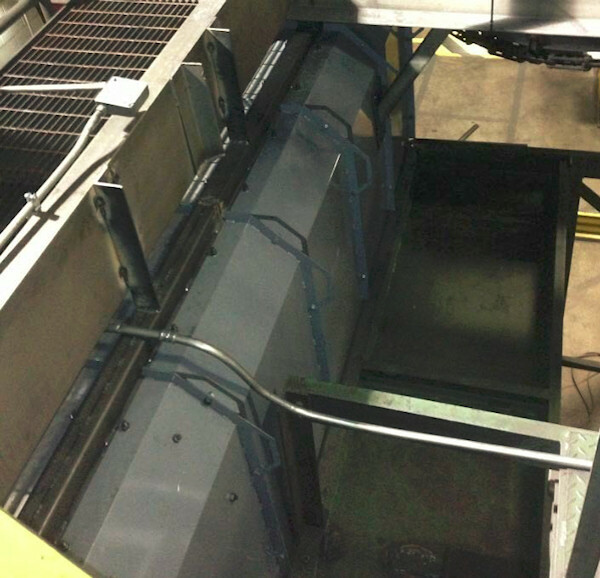 Blast Cleaning Technologies designs are engineered to flow in your existing layout. We offer a variety of material handling options (powered and non-powered) for Air Blast rooms. Our designs work with fork lift trucks, overhead cranes, overhead monorails and work cars. Our monorail slot seal design is fully enclosed with a removable cover. We include integrated monorail deflectors that knock down high speed abrasive and drain back to the cabinet, there is no rubber to replace. The blast zone panels are rubber lined.